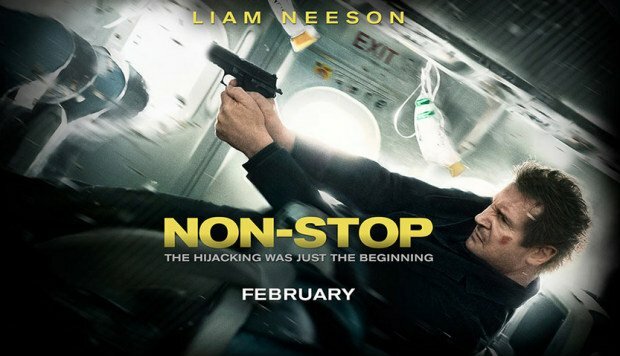 Thriller Non-Stop, in which Liam Neeson plays a federal air marshal, has topped the North American box office chart. Liam Neeson’s character must stop a string of murders on an international flight. The film took $30 million at US and Canadian cinemas between Friday and Sunday, according to studio estimates. Son of God took $26.5 million to reach second place. The film is adapted from the History Channel’s mini-series The Bible, about the life of Jesus. The film, which surpassed box office predictions, stars Portuguese actor Diogo Morgado as Jesus and was made by reality TV producer Mark Burnett. The success of Non-Stop and Son of God pushed The Lego Movie down to third place after three weeks in the top spot. The Lego Movie made $21 million over the weekend, taking its North American box office total to $209 million. George Clooney’s World War II drama The Monuments Men was a distant fourth, earning $5 million. The Monuments Men was followed by 3 Days to Kill, in which Kevin Costner plays an over-the-hill international spy, which took $4.9 million.